Yamaha is rolling out its biggest twin yet for 2006 - the XV1900 Midnight Star. 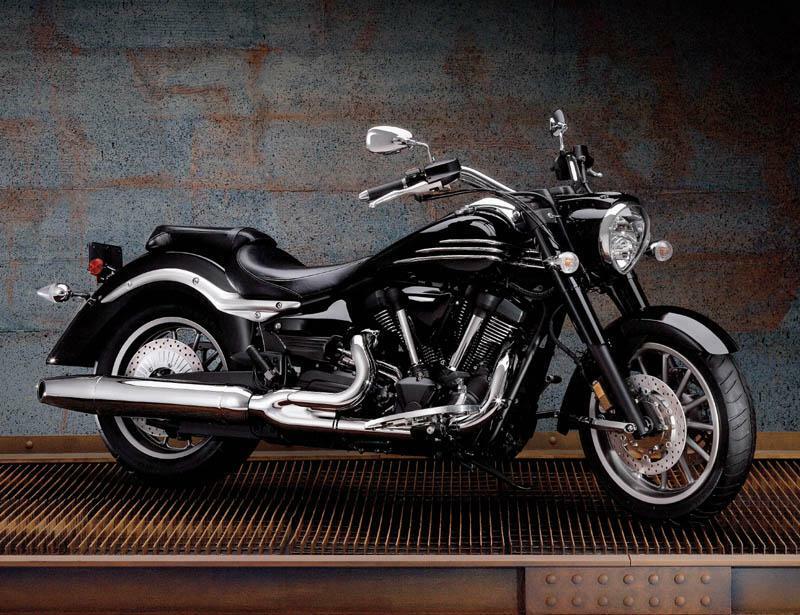 The belt-driven cruiser uses a 1854cc air-cooled V-twin aimed at delivering brute strength in the 55-75mph zone. It uses an EXUP valve system to boost low to mid-speed grunt. Maximum torque arrives at just 2500rpm. The long and low aluminium double-cradle frame is at the heart of a chassis which offers a 1715mm wheelbase. 12 spoke 17/18in alloy wheels wear 190/60-17 rear rubber and 130/70-18 front. Yamaha describes its styling as 'retro-futuristic'. We expect it to be shown to the public for the first time at the Paris bike show, which starts with previews later this week. Keep checking regularly for all the new bikes as they break cover from the Paris Show. We'll be there to bring you regular updates from Wednesday evening (Sep 28, 2005).